Seriously. There’s no other explanation. 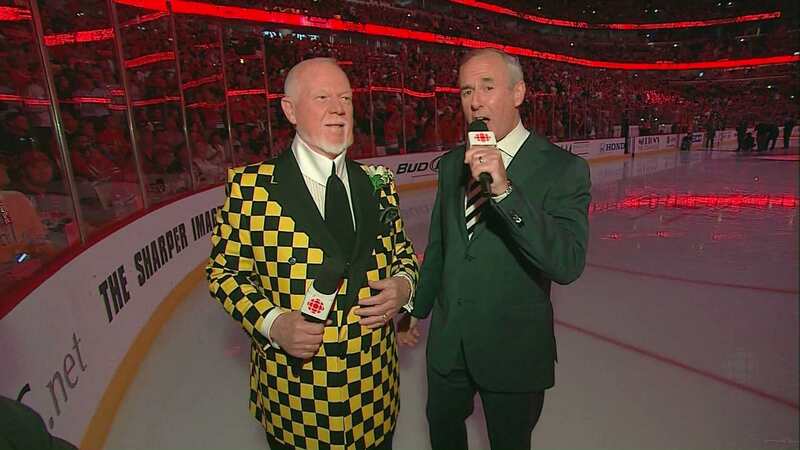 Here’s his amazing jacket from the first game of the 2010 Stanley Cup Finals on the ice in Chicago. By all that is holy. 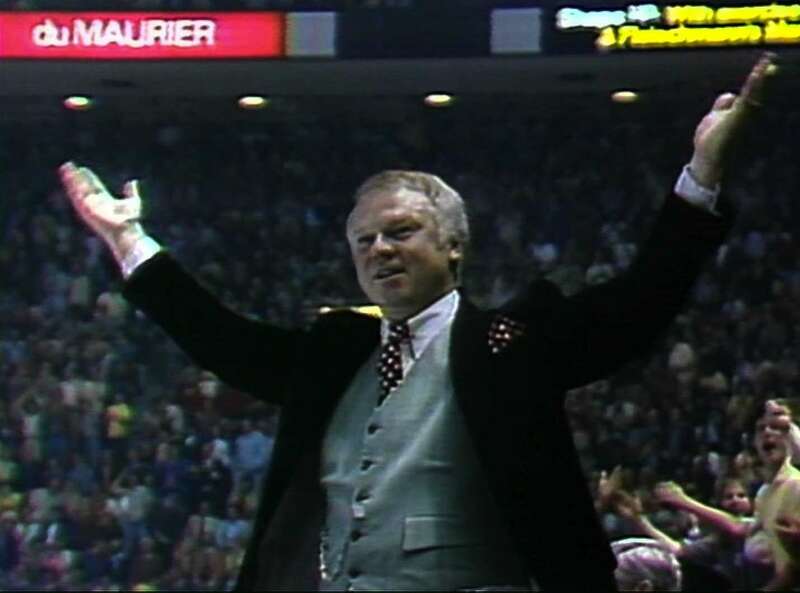 Tonight’s Coach’s Corner saw Don Cherry sporting the same jacket he wore not one week ago, but with a different shirt and tie (bumblebee themed? another springtime reference? hmm…). 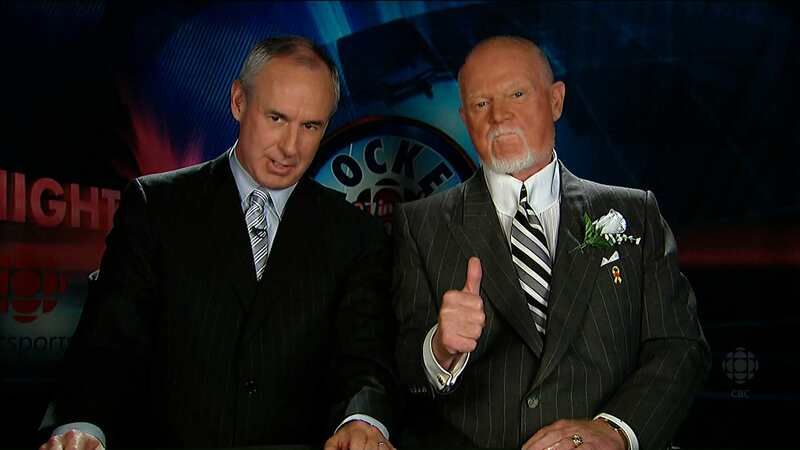 But this week it’s Ron’s jacket that I’m not really sure what to make of. 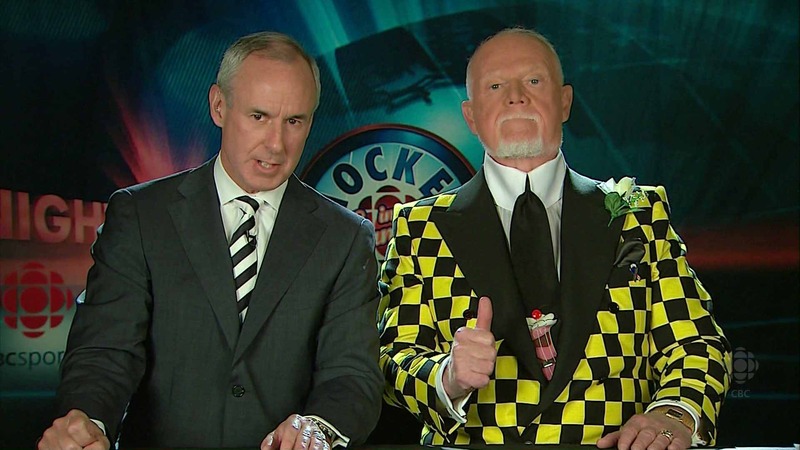 The colour doesn’t really match either the Hockey Night in Canada set or Don’s shirt, and his narrow tie just makes the whole thing look strange to my eyes. 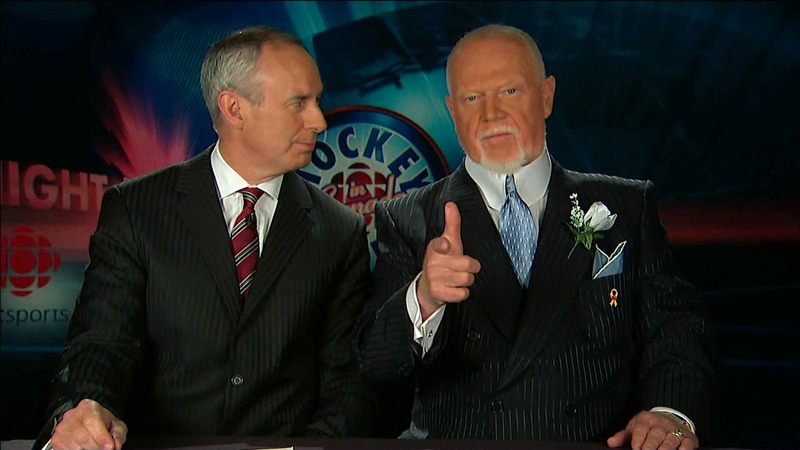 Also, during the segment, Grapes had a few words of advice for the San Jose Sharks, who were swept out of the playoffs by the Chicago Blackhawks yesterday. He told them to ditch the teal sweaters and praised their black uniforms (“BlackArmor” as they’re officially called; silly name). For once, I agree with him. 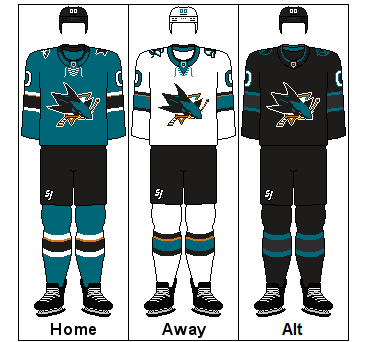 Teal hockey sweaters? Seriously? 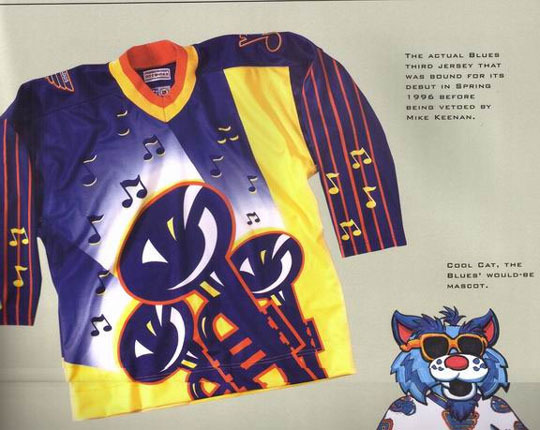 I mean, it’s been that way since the team was formed in 1991, and ever since then I’ve thought it was a silly fashion choice. 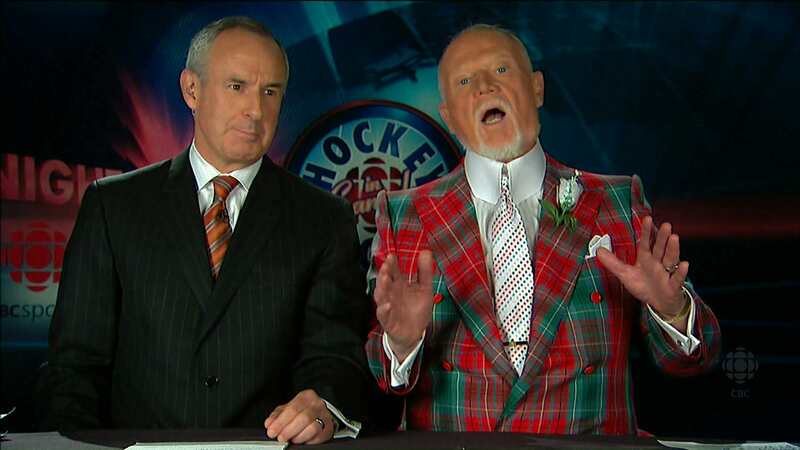 Of course, this is Don Cherry giving other people advice on how to dress. 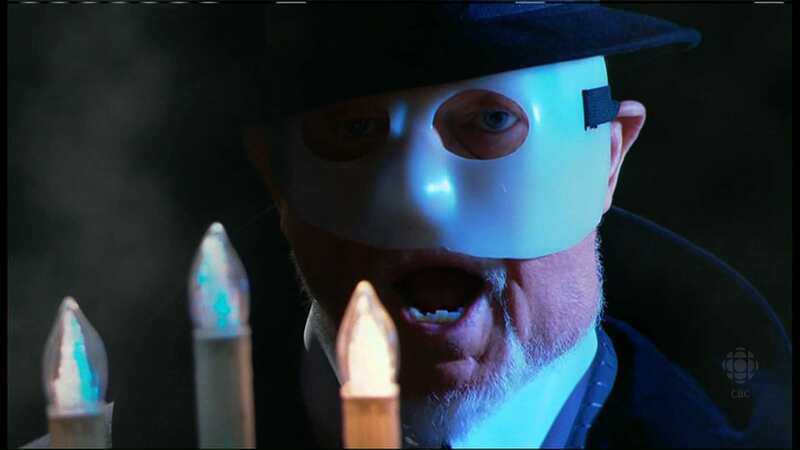 (We’ve seen this before, remember?) Glass houses, Grapes. 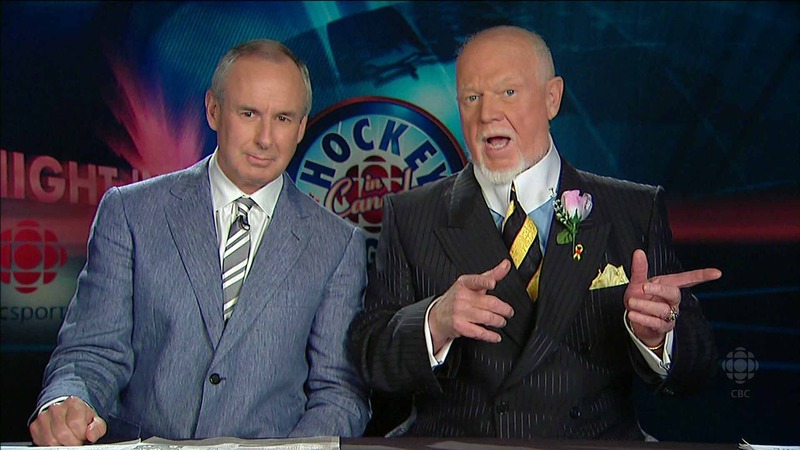 After a few straight segments of jackets tending toward the wild side (wild even for Don Cherry), today’s matinée Coach’s Corner featured a nice, refreshing, Don Cherry in a—gasp!—tasteful grey pinstripe suit, and a tie that actually goes with the jacket. 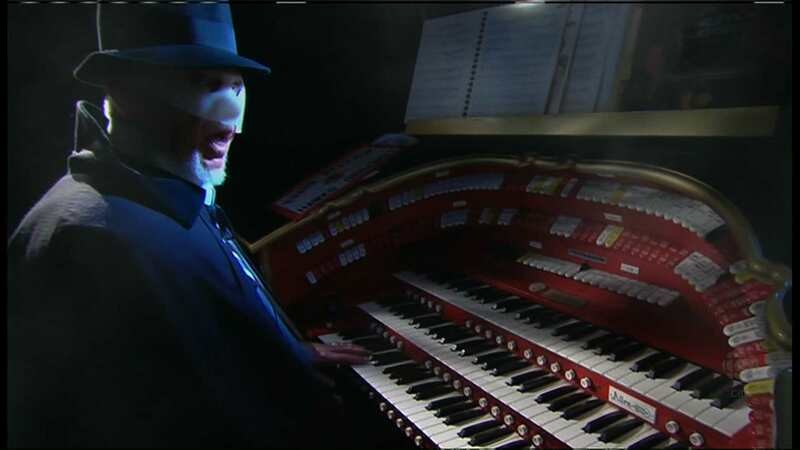 (Though I’m so used to Don’s double- and triple-breasted suits that seeing him in a single-breasted jacket like this doesn’t quite look right, somehow.) Check it out. 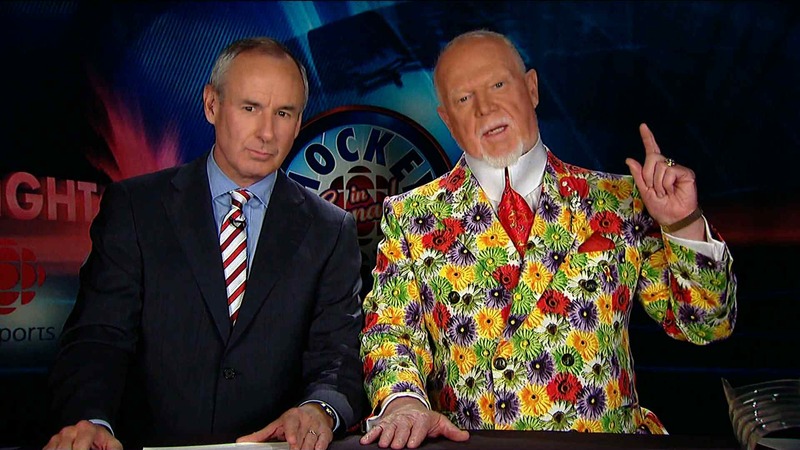 Yes, we’ve seen this particular flower jacket before. 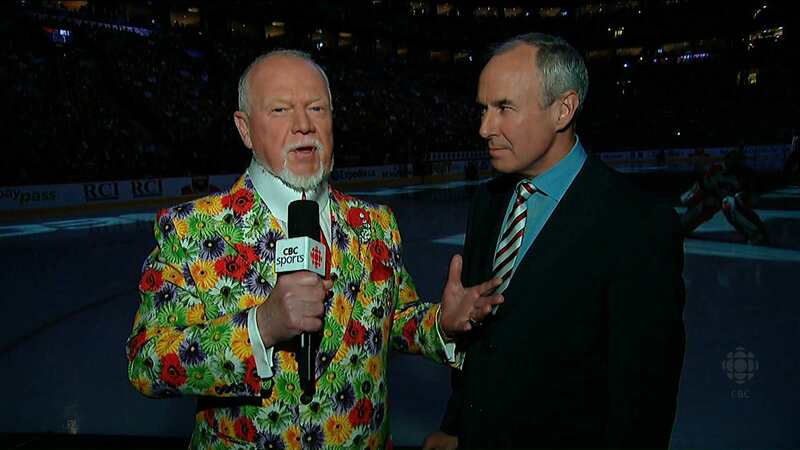 Yes, Grapes has a propensity to wear pretty flowery fabrics, especially in springtime. So what? And who cares that the fabric is too ugly even to make living room drapes out of? You have to be kidding!